Know someone who loves to strum on the guitar? This is the perfect gift for a guitar lover! This is a sterling silver 22 gauge guitar pick that can be hand stamped with your favorite phrase or words, date, names, initials, song title....the possibilities are endless. This particular pick says " Shut up N play yer guitar". Order by Wednesday and I can ship priority for V-day delivery! 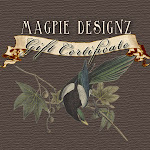 Go to Magpiedesignz.etsy.com for more info.